The trouble with having a few more days than is necessary to complete a relatively few number of tasks is that those days seem to slip away without any of the work actually being started. To be fair one of us tends to be rather more productive than the other in times like this. She’s the one sifting through things, getting them cleaned and ordered, having cups of tea or walking with Maggie and so on, while the other tends to get flustered and grumbles about working in a confined space with grease and diesel on his hands while white linen is hanging around everywhere drying and being sorted. The solution is simple, and involves quite a lot of freshly brewed coffee and a book. 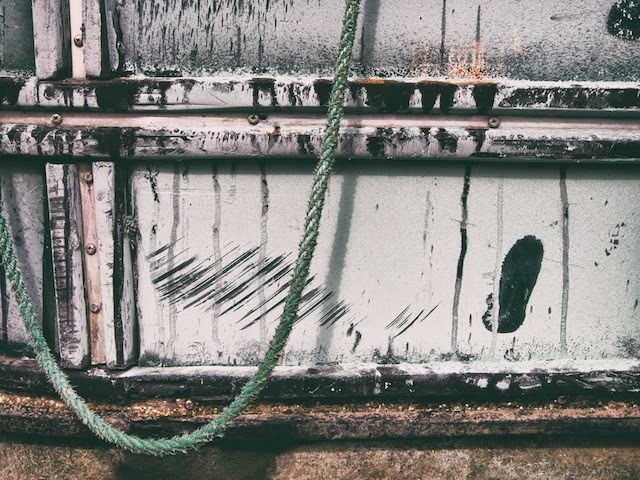 There is no point in getting stressed about the work that needs doing, and life in a boatyard provides plenty of opportunities for distraction. For what it’s worth, we did get a few things ticked off, but we have a week up our sleeves and where in the coloured brochure does it say we need to be busy every minute of the day anyway? No post for two weeks which probably means you have headed home. I have really enjoyed following your travels. Hi Carol, nicely observed! I have a full two weeks of posts to catch up on after a frantic time of packing up for the winter, and am currently sitting surrounded by grandchildren in an entirely different place on the planet! But we'll be back! Thanks for visiting!